Here’s this week’s edition of running things that got me all fired me up and excited to run! 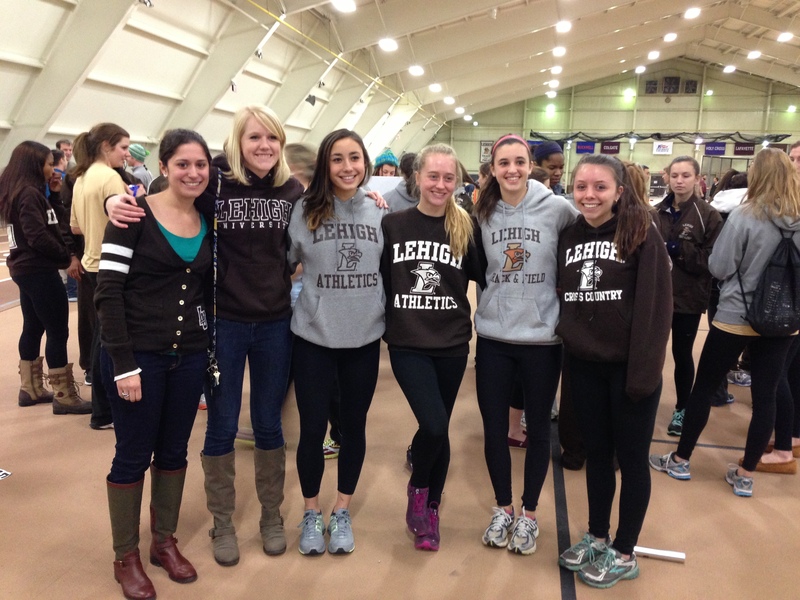 My Lehigh T&F ladies put the pedal to the metal (or their spikes to the speedy new track) and BEAT LAFAYETTE on Saturday! The dual meet is one of the most heated, intense events of the season, and you just can’t beat the spine-tingling energy generated by each head-to-head race. (I nearly lost my voice from screaming so much!) To top it off, I loved experiencing the familial unity shared between current team members and alum, and I relished finally feeling connected to Lehigh again since I graduated. I even got to go on a long run with my “big sis” on the team and a couple old teammates on Sunday. The whole weekend brought back happy memories, and I’m so thankful that I live close enough to be able to maintain those ties with my alma mater. Congrats LUTF ladies! SO proud of y’all! My totally badass Dad accomplished his goal of breaking 30 minutes in the 5-K at a local race on Saturday, running 29:41 and placing third in his age group! He’s got one pretty proud daughter over here, I’ll tell ya that much. 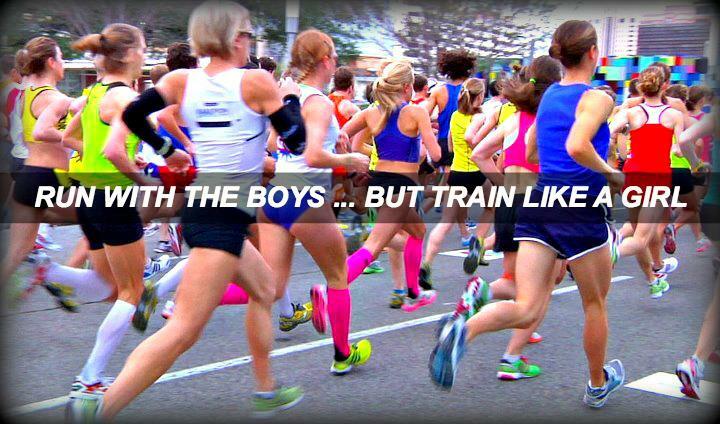 The “We Heart You” project via @PavementRunner – Talk about reasons I LOVE runners. The online community joined forces to send some virtual (but no less powerful) positive energy to Krysten of DarwinianFail.com, who is scheduled to have surgery on February 1. Check it out, it’s sure to warm your heart! Dorothy Beal ran 20 (yeah, you read that right, TWENTY!) miles on the dreadmill this week. I can’t even fathom doing this–mostly because I’m terrified that I’ll fly right off the end of the machine!–but she’s one seriously dedicated runner, and every runner should aspire to be like her. If you’re stuck on the ‘mill, I’d read her post below to learn about how she beats the boredom like a champ. Way to find your strong chica! 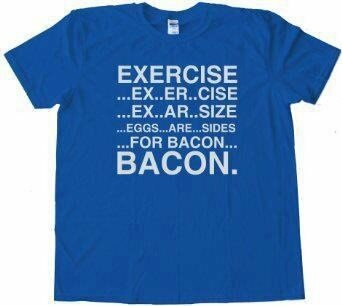 I’m totally not ashamed to admit that I’ve eaten my weight’s worth of chocolate this week. 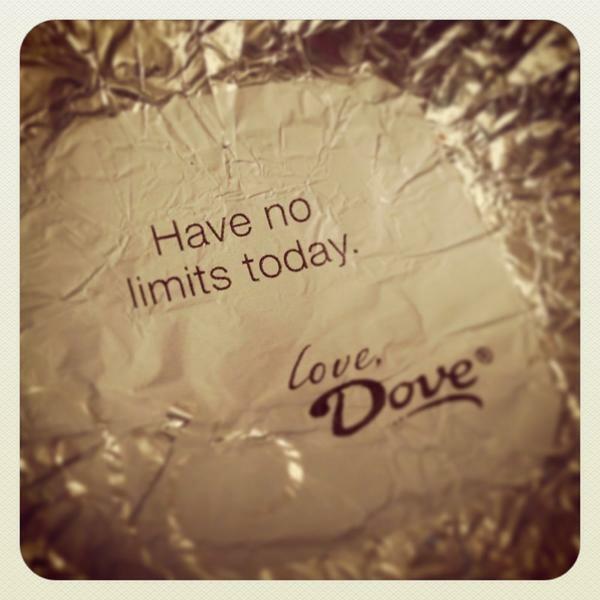 At least one wrapper offered some wise words to live by! The Believe I Am ladies shared this feel-good video on their Twitter feed… GIRL POWER! ← Previous Post Sisters in Sport | On the Starting Line!